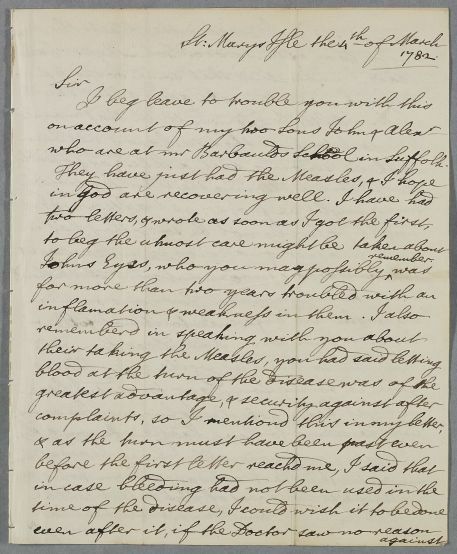 Letter from the Earl of Selkirk, concerning the case of his two sons, John and Alexander, who are both at 'Mr Barbauld's School in Suffolk'. They are both recovering from measles, and Selkirk is particularly concerned about John's eyes. 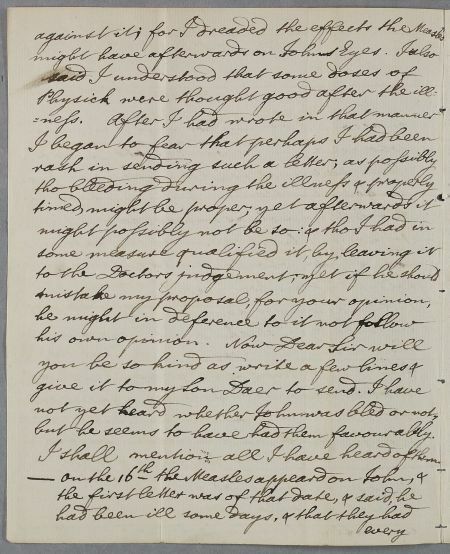 Summary Letter from the Earl of Selkirk, concerning the case of his two sons, John and Alexander, who are both at 'Mr Barbauld's School in Suffolk'. They are both recovering from measles, and Selkirk is particularly concerned about John's eyes. Case of John Douglas, younger son of the Earl of Selkirk, who is 'liable to opthlalmia'. 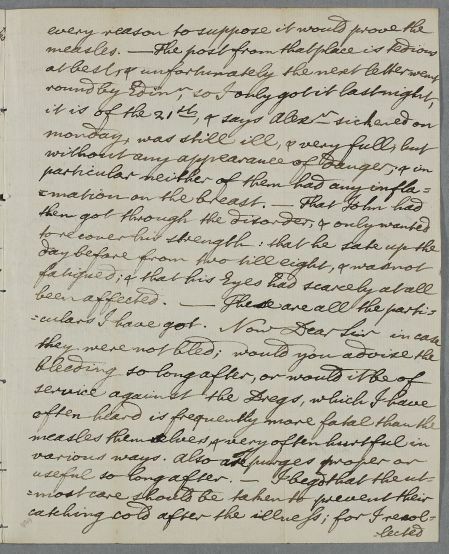 Case of Alexander Douglas, younger son of the Earl of Selkirk, with measles. 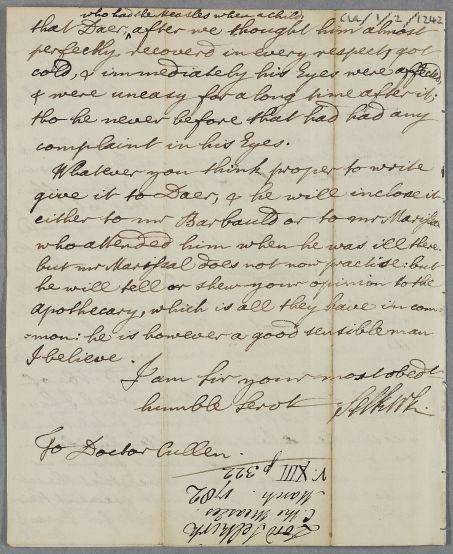 Includes an earlier, isolated letter advising Selkirk on how to treat measles. who are at mr Barbaulds School in Suffolk. but he seems to have had them favourably. I shall mention all I have heard of them.